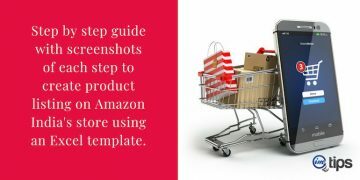 You are here: Home / eCommerce / Amazon India / How to Get First (Or Next) Customer Review on Amazon India? All in all, to be able to sell online, reviews are a must. Even it is believed (there is no official confirmation) Amazon ranks products higher based on the number of positive customer reviews. So how to get the all important first review? To get reviews one needs customers and to get customer and make sales one needs reviews. Seems like the classical chicken hen problem. So how can an Amazon India seller get his or her first review? Though it seems a tough nut to crack, actually it isn’t as tough as it sounds. In fact, it is very simple to get your first review or even your first few reviews. Approach your close friends and relatives who you think will be interested in what you are selling to purchase the product and share a genuine review. Note this isn’t asking someone to share a positive review but an honest and genuine review. Once you have your very close friends review your product, outreach extended friends either on social media or on personal chat media like WhatsApp and ask them if they are interested in sharing a review of the product. Again the point is not to ask for a positive review but honest and genuine review. I have mentioned genuine reviews a couple of time already. In case we get any review that isn’t as good as one would have liked, there is a good way of dealing with it. We will see that in the later part of this article. How to Get More Reviews on Amazon India? So now we have a few reviews, this should be good enough for us to move the needle. We now have a process as outlined below to get more product reviews and become a pro seller. In the digital era, the most effective communication between a buyer and a seller can happen over a voice call only. There is no denying fact about it. In India, tele-callers have ruined the reputation of making a call. More often people will assume this is yet another telecall but that shouldn’t stop you. It is still the most effective mode of communication. Just talk with your customers and get the feedback of how they feel about the product, if they liked it or not and how you can improve on it. 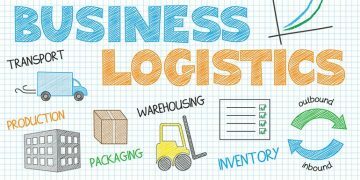 Ask them about the logistics services and at the end request them to leave a review for the product. No matter what logistics you use, on the Invoice you can get the contact details of the buyer. Make a personal call to interact with your customers. This can help build your personal brand as well. As sales pick up, it may not be very effective but as a new seller, it is the best thing you will do for your business of interacting with your customers. 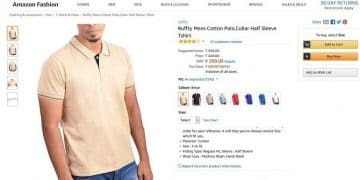 Amazon India provides a messaging interact in the seller central to communicate with the buyer. You can leave a short message and remind the customer to share feedback about the product they purchased a few days back. A point to note is, don’t message the seller very early as they may not have the time to use your product and also don’t leave it too late as the excitement about the product shouldn’t have fizzled out either. The best time to message is 1 week after the user had the product. To make it easy for the user to review, leave the product link in the message. There are customers who review many products. Here is a list of Amazon India’s Top Customer Reviewers. These customers help other buyers make informed purchase decisions with helpful and high-quality product reviews. Contact top customer reviews and ask them to review your product. You can even offer them a 99% discount in exchange for an unbiased and honest review. Influential reviewers write detail and helpful product review highlighting the key benefits of the product that can be helpful for others. Some influential reviewers even ask for compensation. Read their past reviews and see if they have reviewed some of the products in the same category or has reviewed your competitors. 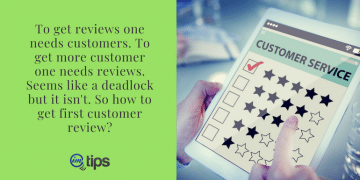 Honoring the most helpful review via a contest on Facebook, Instagram, Twitter or even WhatsApp group can help you get many reviews for a product. Some contest can be like “Most helpful review of the week/month/year” or anything that can help you drive more reviews. Make sure only the genuine customers who have purchased the product are eligible for the contest. If for that matter if you have to offer a 99% discount to the customer, do that. The prize money is important but more important will be the “fame”. Offering PayTM cash will help but one can also offer them other products you sell. When you are organizing the contest, make sure you ask for detailed reviews and not only the star rating. The customer can have a varied view, of the product or expectation. Based on my past experience we have a negative review of the following type of customers and will share how to handle each such customers. There will be some customers who won’t share a completely positive review for a product but the review won’t be totally negative either. They leave a very honest and genuine review because they care about the product and want it to improve over time. They share all the pros and cons of the product and want the cons in the product to go away. These buyers genuinely care about your product and if possible, address the areas of the product. Often such address at the price point is beyond the control of the seller as well. Take such reviews positively and work toward building products that address those issues in the future. Many customers don’t leave a review of the product but leave a review for how late they received the product. 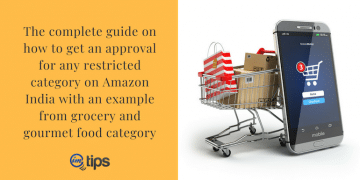 As a seller, if you are shipping your products or via Amazon EasyShip Program, one can opt for Fulfilled by Amazon (FBA) but after that, there is very little a seller can do about it. So for such negative reviews, the best approach is to ignore them. It can so happen that buyer expected a different product than what was being sold. I will share my example. I wanted to order a Fitbit watch for my son but instead, we ordered Fitbit watch band only. Even some companies call it a band and not a watch. So it is tough to identify from the title and the photo if you are actually ordering a watch or only the band. Such instances can lead to negative reviews from buyers. Try to write better product titles and appropriate image to avoid such buyer confusions. There are certain people who are never satisfied. If you are lucky enough to have such a customer, there is very little you can do about it. These people enjoy doing such kind of stuff. Whatever you do for them they won’t change their mind. Take them with a pinch of salt and move on. One bad review doesn’t make a product bad but if one of the first few reviews, you have to work hard to get more positive reviews from other people. To identify negative reviewer, see customers other reviews to get an idea. Are they leaving negative reviews for every product or only your product? Can you improve the products packaging, title, and description, images or anything to make sure such concerns are addressed? Too many bad reviews can be bad and so make sure you keep addressing customers concerns. More sales mean more customers which will result in more reviews. 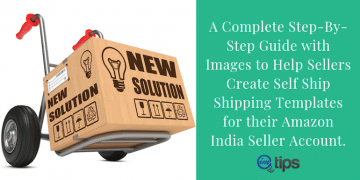 There are alternate channels to make more sales on Amazon India and gather more reviews. 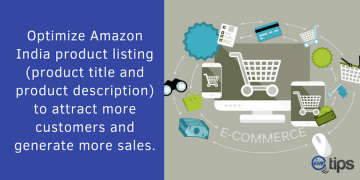 Optimizing the product listing can help seller rank their products better for non-paid organic Amazon’s search results. Like Google, Amazon also doesn’t disclose their search ranking algorithm. Studies done by researchers reveal that Amazon pays importance to keywords included in the product title, bullet points, description along with the customer reviews. 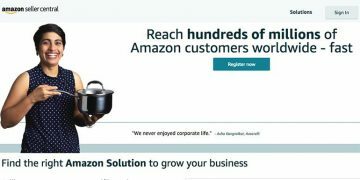 Treat the Amazon India listings as an e-commerce website and target Amazon India search for grabbing customers. Product image is the first thing a buyer sees when he or she is searching for something. Invest in high-quality product images to stand out from the rest and grab the attention of the buyer. Read Optimize Product Listing at Amazon India for More Sales. 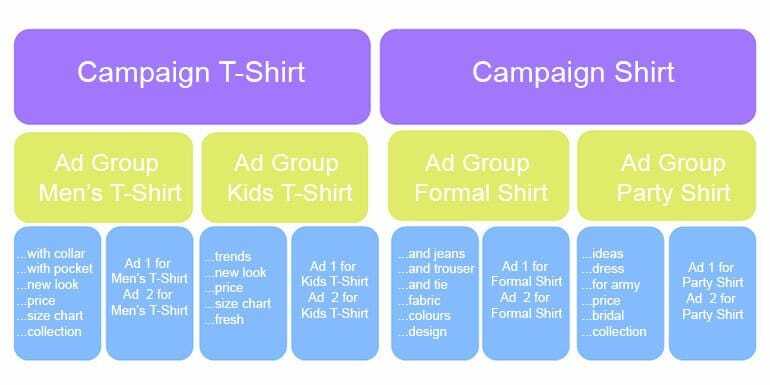 Include the brand name, size, color, weight, material type, quantity and variants of the product in the title. List the key product benefits as bullet points. When you try to optimize the title, make sure you aren’t keyword stuffing in your listing. Write it for the benefit of the user and search engine will be fine. Apart from optimizing the product details, keep an eye on competitive products. Brainstorm their product listing page to analyze what keywords they have mentioned in the title, what is their product pricing strategy, how they have crafted the product benefits. 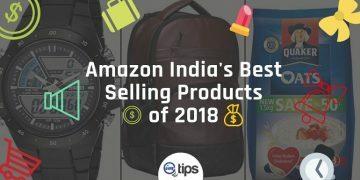 Browse Amazon India’s best sellers list for your product category to help you improve your product listing. 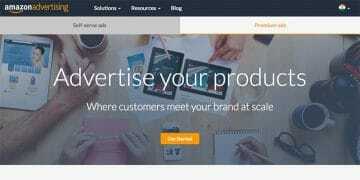 Amazon offers new sellers to generate sales via advertising in the Amazon India’s search. 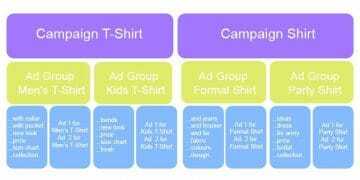 One can opt for automatic or manual (Select your own keyword and bids) campaigns. Advertising can dampen your profit margin but it is one of the best methods to generate first few customers for your product and get a few reviews for the product. 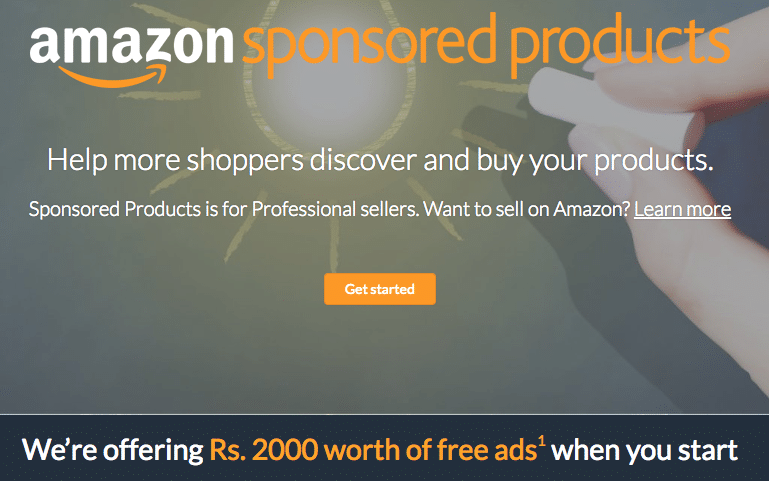 Amazon India comes up with many offers from time to time and as I am writing this, there is a free ad credit worth Rs. 2000. Offer a huge discount to get the sales coming and get reviews. When your product has a huge discount, it will attract eyeballs in search results and drive traffic to your product page. If you have optimized the product listing, it is likely to generate a lot of sales and accumulate reviews. As a new seller product giveaways can earn goodwill for the brand as well and can benefit you in the long run. 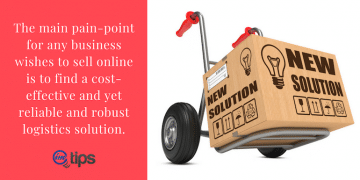 Buyers trust Amazon and the way it stretches to the last mile to give maximum customer satisfaction in terms of delivery and payment options. 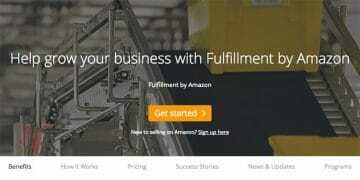 Opt for Amazon India’s FBA Program to offer faster delivery to customers as well as target Amazon prime customer. More and more people are joining Amazon prime every day. So it makes sense for a seller to offer target Amazon prime members. 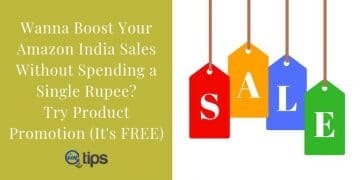 Offering discount can help you boost sales. 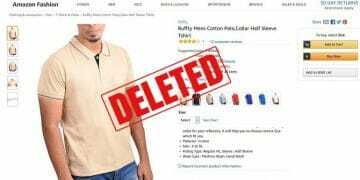 Sellers can create a direct discount for products under Amazon India’s “Daily Deals“. As you offer the discount, the product can list on the deals page for customers to grab the deal. Amazon India also offers an option for “Coupon” where sellers can offer a limited time discount to buyers. Coupons can only be generated under the Advertising option in seller central and not otherwise. If you list similar products as other, Amazon will show the seller that has the lowest price making it price competitive. The other alternative is to bundle the product to make it unique because unique products tend to have a direct “buy now” option. As an example, if you are selling leather jackets, it is likely other seller selling the same. The probability of your leather jacket winning a Buy Box and actually getting sold reduces. So to make the product unique, add complementary products to the leather jacket. Say sunglasses, a plain t-shirt or a fancy hand band. Now, it becomes a unique listing with an increased chance of winning an individual buy box. It will give you the flexibility of better pricing the product as a whole and still make a sell. Remember, if you a add a very different item in the combo, it may work against you. Bundle products that complement each other.